Having a side hustle is hard. Having 3 is even harder. But for some reason, I continue to happily wake up for 4 jobs each day. 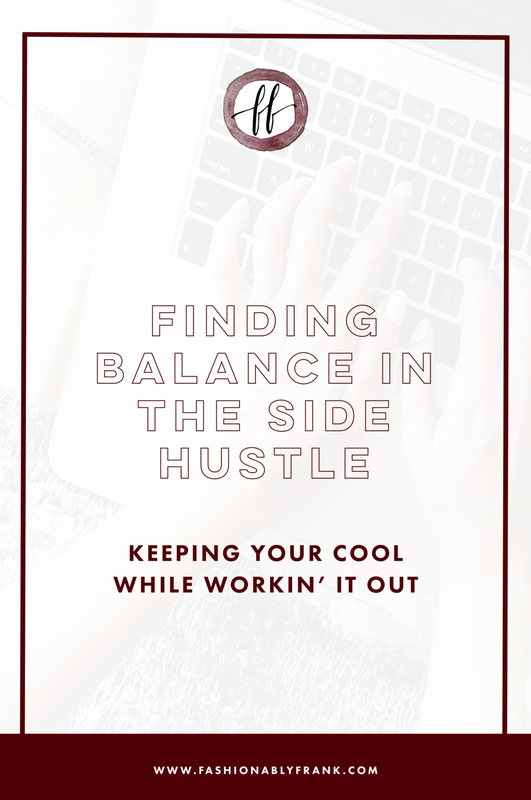 Finding balance in the side hustle is key. And don’t get me wrong, there are definitely those times when I wonder why in the world I don’t just keep a 9-5 in some cubicle, in some office, somewhere downtown. But what reward would I get not having to actually show up each day. One of the biggest revelations I’ve had throughout my years working on my own business has been that when we work and create something that is true to ourselves in a very personal sense, the connections created with others in a broader, communal sense is astounding. Maybe that comes as no surprise, but I find myself always a little in awe that my personal approach to my work can be recognized, and connected to, by so many others. Showing up for myself, for my work, for my creative drive - the reward of knowing that the work I have produced or created has come authentically from me, is usually all the momentum I need. But, for those days in the middle of February, when Seattle is perpetually grey and uninspiring to my SoCal native self, or when I have so much to do I don’t even know where to begin, I have a few methods to keep me on track in my business and hopefully preserve a little sanity. Pick a day with some free time in the evening and dedicate it to preparing yourself for the coming week. Every Sunday I sit down with my calendar (I use a hardback paper one - because I’m old fashioned, and there’s something about writing out my week that helps to cement it in my consciousness). My calendar combines the top two essentials: a schedule of the month, along with a space along side it for a to-do list. Next, I look at the week ahead of me, and make 2 lists: one for the goals I would like to accomplish that week, and one for the tasks I will need to accomplish to achieve those goals. I keep the tasks list on my phone for easy access, and the goals list on a whiteboard in my room as a reminder in the background to keep on slaying. Taking the time to prepare your schedule each week helps you to move steadily forward in your business, rather than forcing you to succumb to the pendulum swing of hustling the hardest, then burning out and getting sick, and back again. Please keep in mind that this list is in no particular order of importance. Self care is absolutely essential to maintaining the balance of the work/side hustle life. You’re probably seeing a lot about self care as the latest trend - but taking time to relax, renew, and treat yourself should never go in and out of fashion, nor is it only a marketing ploy to make you buy that latest face mask/nail polish/all inclusive resort package/etc. Self care looks different for everybody. Self care is not something you do for the ‘gram. Self care is not something that can be put on the back burner when life gets too hectic. Self care is recognizing that we cannot do any good for others if we cannot first be good to ourselves. It is listening to the exhaustion and allowing ourselves to rest. It is also sometimes the shiny new face mask and the nail polish. But whatever and however you take care of yourself is not what is important. Taking time - to care for yourself, listen to yourself, and BE with yourself - is what’s important. And if you do roll with the skincare and beauty scene as much as I do, follow me on Instagram to keep up to date with my newest posts and join me for my favorite night of the week - #Netflix&Mask. And be sure to tune into my blog - I’ll be posting the top 3 face masks in my self care rotation. Bonus: they are all super cheap and 2/3 can be made with ingredients you probably already have in your kitchen. Treat yourself, you 100000% deserve it. Jordan is a kindergarten teacher by day, and a nanny, a professional makeup artist, and blogger/creative director, by all the other hours of the day. She also paints on the side, and is still riding the high of presenting her last solo show. The show worked to create a space for discussion and raise awareness around domestic violence, as well as funds for a great organization working to end violence and provide support to victims of abuse. For collaborations, makeup, creative direction, or just to say hey, she can be contacted at jordan@livecherrybomb.com. 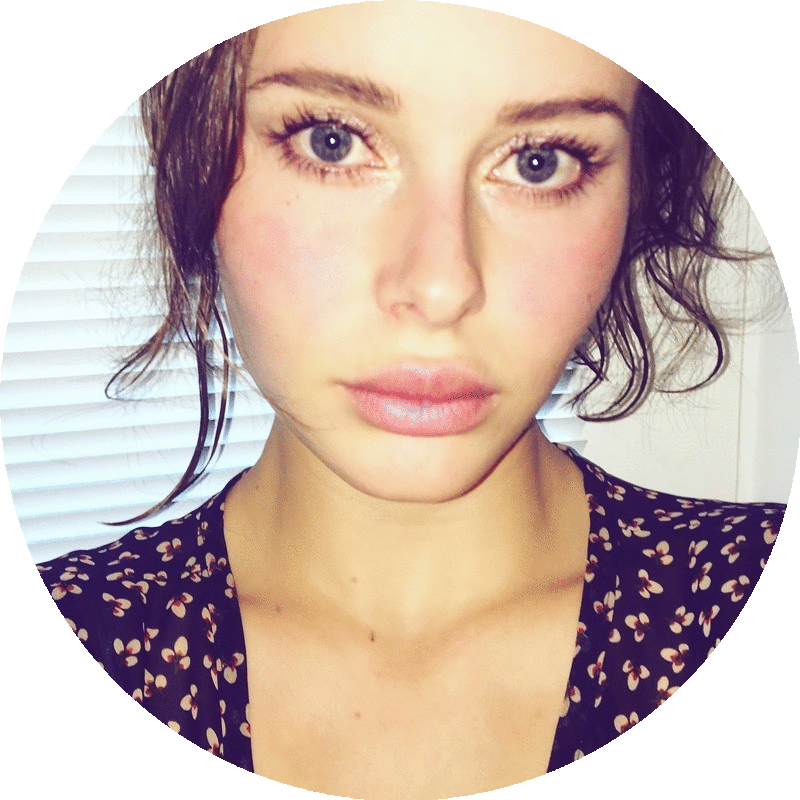 You can also follow her on Instagram, like her on Facebook or add her on Snapchat using @cherrybomb.boss!